Hungary as a country doesn’t produce a whole load of feature car material, but when they do pop up they’re usually pretty special… like Gábor Végh’s US-spec marvel! Words: Elliott Roberts Photos: Viktor Benyi. We’ve not featured many cars from Hungary over the years, but when we have, well, they’ve usually been pretty bonkers. In fact, when we think of Hungary and modified cars it's usually RS Tuning and the creations of its founder, Arpi Lakatos, that spring to mind. If you’re unfamiliar with Arpi or the cars produced by his company then drop RS Tuning into Facebook for an education. It’s not just RS Tuning in Hungary that know how to spruce up an old VW, though, there are plenty of standalone enthusiasts at it, too. Take 33-year-old Gábor Végh for example. 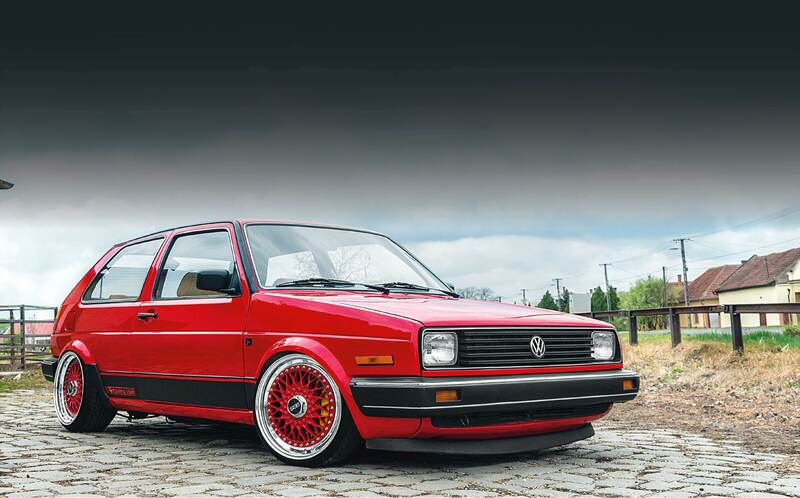 Gábor has a pretty serious history of modified VWs and actually started life in a humble Polo Classic… with a VR6 motor shoe-horned under the bonnet. 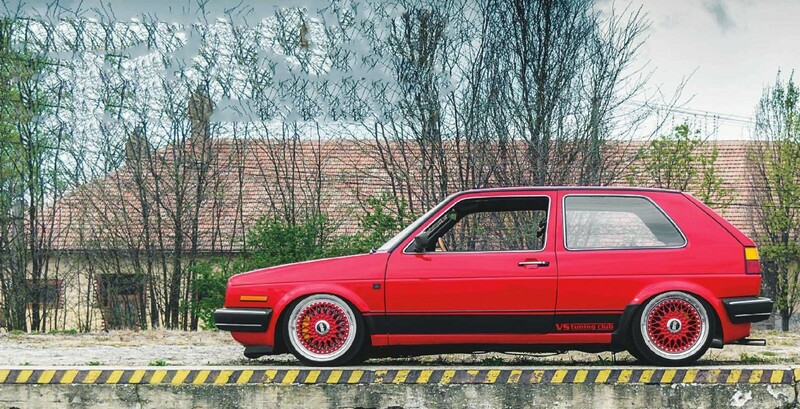 After the Polo followed a tuned Corrado and then a Mk1 Caddy, before Gábor arrived at the Volkswagen Mk2 Golf you see before you. The thing is, despite being what he thought was a pretty good base, the car didn’t look anything like it does today. 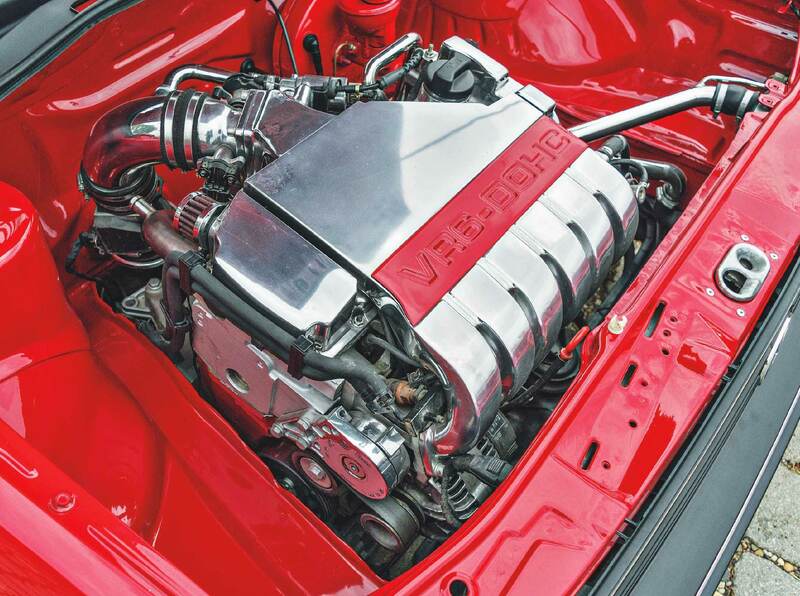 “I bought the car back in 2010 and the previous owner had already carried out a few mods,” Gábor told us. The main thing that sealed the deal was the fact it already had a 2.8-litre VR6 engine fitted, which also came with all the legal documentation to say it should be in the car. You see they’re pretty strict in Hungary where tuning is concerned and especially tight with engine conversions. There is a whole bunch of hoops you need to jump through before getting the work officially approved. Well, Gábor figured he’d saved himself a load of hassle by buying a car with the engine already fitted and all was going well until he started using the car more regularly: “I soon began to realise there were some serious issues with the suspension,” he said. 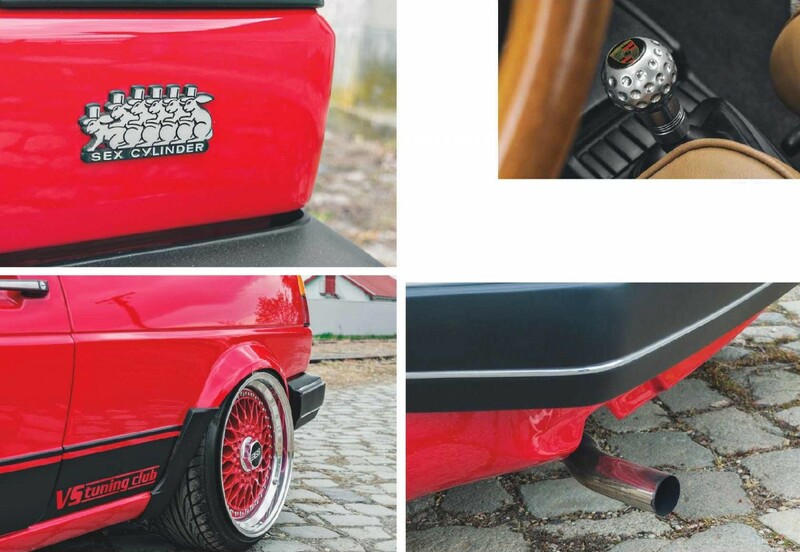 Reading between the lines, we get the impression that the aftermarket air suspension previously fitted to the car hadn’t been spec’d to accommodate the extra weight of the large, cast VR6 motor, hence the bumps and knocking sound Gábor soon began to hear. The car really has been a labour of love, which Gábor has continued to evolve and improve over time, but getting the foundations sorted back in 2011 were vital to the whole project. “I began by stripping out all the air suspension and fitting a set of K-Sport coilovers.” Having only heard good things about these from a bunch of friends running them on their VR6 cars, Gábor knew the K-Sports would offer peace of mind and solve his suspension crashing issues. Next up came a set of Eta Beta wheels, followed by a quick freshen up of the paintwork, but Gábor claims he wasn’t totally happy with the colour, so come 2012 it saw a full repaint in the current shade of red you see now. “I also managed to source a bunch of rare parts, like the Westmoreland front and the US-spec running lights,” he said. Next his attention turned to under bonnet antics, which saw the 2.8 VR6 removed so the bay itself could be smoothed and cleaned. Gábor chose to go pretty extreme with the shaving, but we like the fact he still retained many of the original Mk2 lines and features. While the engine was out Gábor polished a number of parts including the inlet manifold and a number of engine covers and casing. 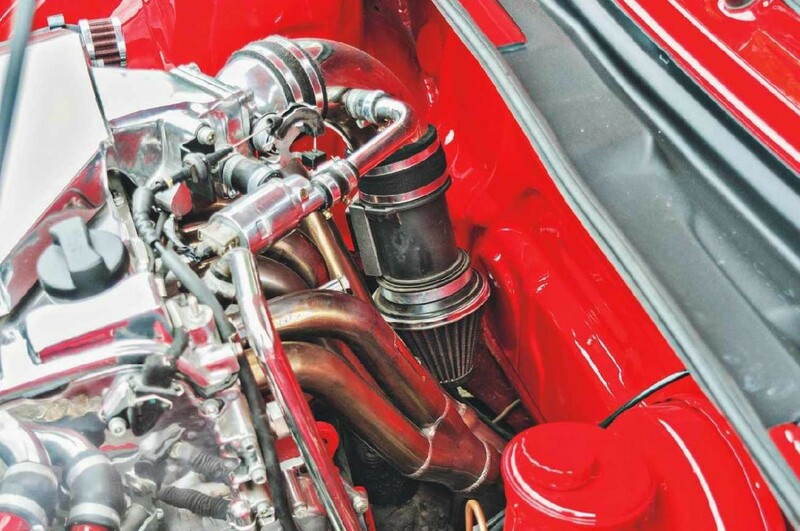 The induction kit isn’t perhaps the most efficient item, as it’s tucked right back down the rear of the engine feeding from the six-branch manifold, but it certainly looks tidy. While most features under the bonnet have either been removed or replaced, the car does still retain a brake servo, but even this was colour-coded red to blend in with the surroundings. With the car finally bolted back together Gábor wasn’t just happy with the way it looked but he was also confident he could actually fully use the power of that VR6 without the car throwing him off the road. While the car looks great from the front, it’s the rear view that really does it for us, especially since Gábor fitted the staggered BBS RS, which feature colour-coded centres in a true Euro-look fashion. The car looks so fat from behind, with its small bumpers, narrow US plate recess and the lack of a hatch spoiler. We like the fact Gábor retained the CL-spec rear lights, chrome window surrounds and went for a simple, single tailpipe, too. It’s so clean and uncluttered! 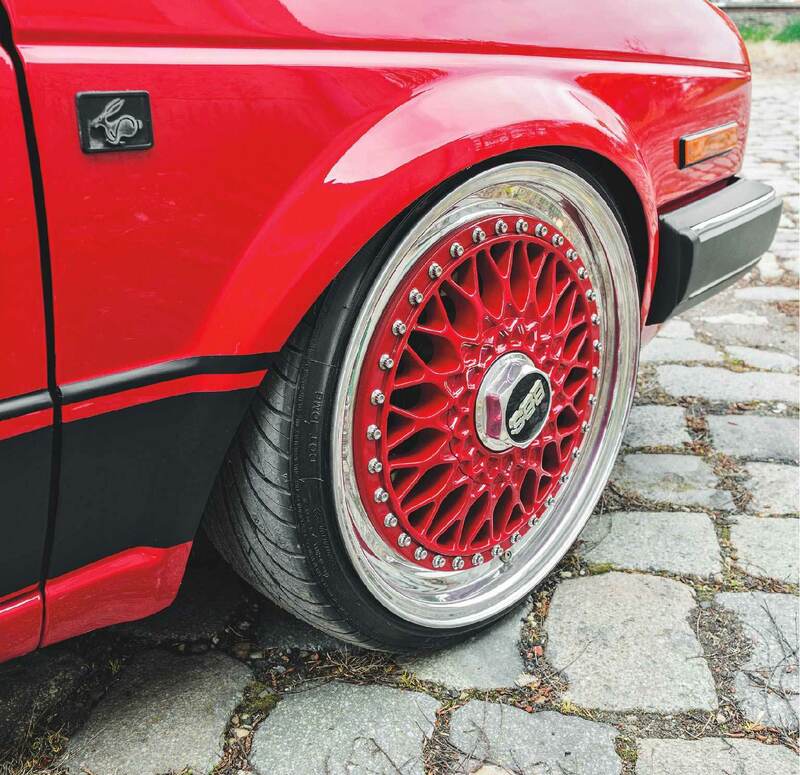 The following year, as well as fitting the aforementioned 17” BBS wheels, Gábor slotted on a set of 312mm discs and Brembo four-pots up front to finally help ensure the car stopped as well as it went. Finally attention turned to the interior where a set of Mk2 Recaro's were trimmed in tan leather (with CL-spec fabric centres) and the rear bench was trimmed to match. While the CL brown dashboard and fabric door cards remain, a retro Momo wooden steering wheel and alloy golf ball gear knob were fitted. “And that’s the way the car has remained since then. I’m happy with it now and have moved on to the next project, which is an E24 BMW 635CSi,” he said. Okay, so we know it’s doesn’t hail from Wolfsburg, but we have a feeling that the results will be equally as cool. Gábor has clearly got that Hungarian magic touch!